Amy Beth Hilderbrand, 58, lifelong resident of Shawnee passed from this life Tuesday, April 9, 2019 at her home. She was born February 19, 1961 to William Bill and Nora (Squire) Littlehead in Shawnee, Oklahoma. Amy was raised in Shawnee and graduated with the class of 1979 from Maud High School. She married James Hilderbrand on October 17, 1979 in Shawnee, Oklahoma. 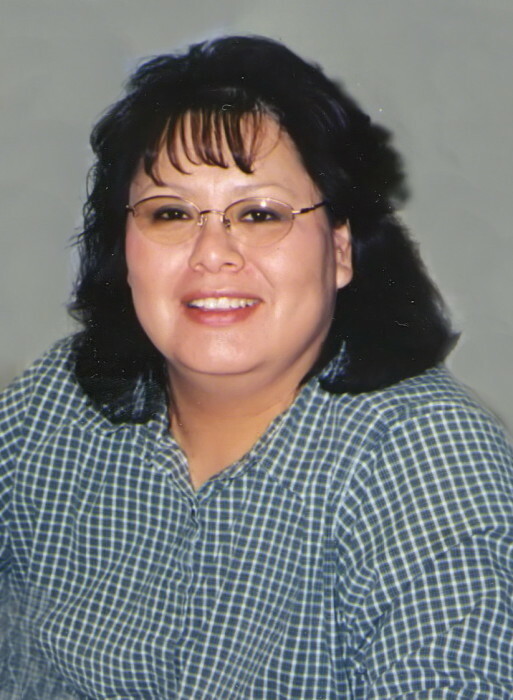 Amy worked for many years in the Finance Department for the Absentee Shawnee Tribe and also worked for Indian Health Services. She was a proud member of the Absentee Shawnee Tribe. She loved going to ceremonial dances and stomp dances and was always a hard worker. She was preceded in death by her parents, William and Nora Littlehead; 4 sisters, Linda Kay Powell, Wannetta Battise, Wanda Jean Littlehead and Ruby LittleBear; and 2 brothers, Alfred Lee Littlehead and Ed Littlehead. Survivors include her husband James Hilderbrand of the home; 3 sons, Benjamin Louis Hilderbrand of Shawnee, OK, Derek Mitchell Hilderbrand of Shawnee, OK and Cameron James Hilderbrand; 4 sisters, Joann Walker of Norman, OK, Winifred Robertson of Shawnee, OK, Mary Elizabeth Jiron of Commerce City, CO and Josephine and Larry Coffee of Shawnee, OK; 2 brothers, Daniel Jennings of Bristow, OK and William Douglas Littlehead of Shawnee, OK; and other extended family and friends. Pallbearers will be Sonny Robertson, Leland Robertson, Terry Powell, Ray Battise, Kyle Robertson and Justin Westberry. Honorary Pallbearers will be Tracy Littlehead, Drew Robertson, Johnny Squire, Kenneth Squire, Michael Squire and Leroy Ricky Squire. Tribal Rites will be held at 6:00 p.m., Thursday, April 11, 2019 at Horseshoe Bend in Shawnee with Larry Coffee officiating. Burial will be 10:00 a.m., Friday, April 12, 2019 at Clark Family Cemetery in Shawnee under the direction of Cooper Funeral Home of Tecumseh.